Your website has been built and taken live. You are thrilled as it looks great, runs fast, generates a lot of attention and sales are flowing in. Check that off the to-do list and no need to worry about the website anymore, right? – Bad move. The more successful your website is and the more traffic and visibility it gets, the more it is likely to be vulnerable to attack hackers. Not worrying about it till it happens can be costly at best, and can often destroy your business reputation and put your customers at risk. 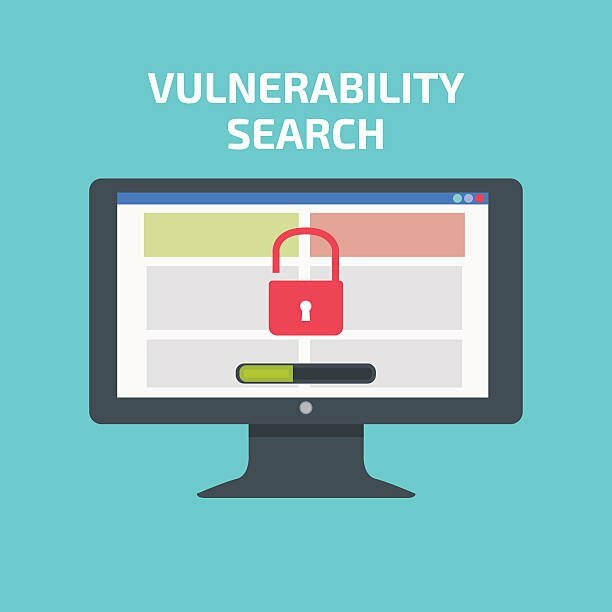 Periodic vulnerability scanning and vulnerability assessment is the first step in safeguarding your web server and web applications from attacks like denial of service and ensuring the security of you and your customers’ data. Vulnerability management has evolved as a web service over the past few years. At Flying Cow Design, we take pride in staying ahead of emerging technologies, vulnerabilities and threats to our clients’ websites and applications. We offer on-going data protection services to ensure your website and all applications and processes are up-to-date. All patches will are kept updated and new patches installed when necessary. We offer a multitude of state-of-the-art vulnerability patching services malware and phishing removal services. We gather all information needed from you, the client. This information includes, but is not limited to, all OS types used along with physical and IP locations. If your business is not using the same OS across all devices and applications, it is essential to change them to the same one to make patching easier. We maintain an updated list of all security controls used including firewalls, security software, routers, to make being proactive easier and more efficient. We have state-of-the-art vulnerability scanners and reporting systems that detects and reports alerts and possible attacks. These reports are compared to the above list to see which ones could pose a security threat to your system, and which do not. All vulnerabilities are assessed to determine if an attack is likely to happen. We will evaluate the severity, the level of the risk, and the cost to migrate or recover from the attack. Last, we install or update all patches necessary. While installing or updating patches, we do our best not to disturb the production environment of your website. Customers will still be able to access the website and perform normal tasks. Website code used to have simple HTML and CSS, but modern websites have a lot more functionality built in as well as connections to databases, social media, etc., making them more vulnerable to hacking, denial of service attacks and other malicious code injection. When a website is built, it is usually secure from all vulnerabilities and threats known at that time, but hackers find new ways to break in. Weak passwords to admin functions. Code that has become out-of-date. Web Servers that do not keep up with security releases. Website code does not update itself, and if you use plug-ins and modules from third parties, then each module must be evaluated for reported vulnerabilities on it and if patches are provided. Ordinarily, new patches are released monthly, and if they are not kept up with, then hackers will return and infect your website and web applications again. Small businesses are usually the target. Small business (SMB) website owners do not normally have security budgets to match those of large corporations. This means SMBs may not be as thorough with security issues and vulnerability management. SMBs often tend to be reactive rather than proactive when it comes to securing their website and other internet resources making them prime targets. Hackers know this and usually target smaller companies with sizeable traffic, where the vulnerabilities have gone unnoticed and unpatched. It is cheaper to perform regular website vulnerability patching and patch management, than it is to pay the price of data loss, downtime, outage, hacking and malicious code injection. There is also the cost of a company’s reputation if their web assets are not secured properly and end up infecting their customers’ computers or pose a security threat to the customers’ privacy and personal data. Flying Cow Design takes pride in their Website Vulnerability Patching Services. Worldwide, security concerns are becoming more and more eminent for businesses large and small. Google identifies over 9,500 websites being infected daily. We understand the need for increased and up-to-date website security. We are not only prepared for existing vulnerabilities but are preparing for future ones as well. We offer comprehensive security, clear any sign of weaknesses and patch the data to prevent the attack from happening again. We perform regular vulnerability assessments of your website code. From there we determine what information is affected and which patches will be needed. Our web vulnerability scanner accesses all of your web applications to ensure hackers have not attempted to break in. Nobody is immune if the Pentagon can get hacked, then you can too! 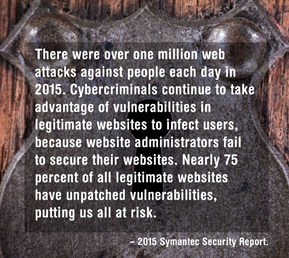 Don’t ignore the need for security and safeguarding against website vulnerability patching. Contact Flying Cow Design today!